Sethuraman “Panch” Panchanathan leads the knowledge enterprise development at Arizona State University, which advances research, innovation, strategic partnerships, entrepreneurship, global and economic development at ASU. His leadership has led to many accomplishments at ASU including quintupling the research performance over the last decade (to over $600M in 2018) placing it as the fastest-growing research university in the United States. 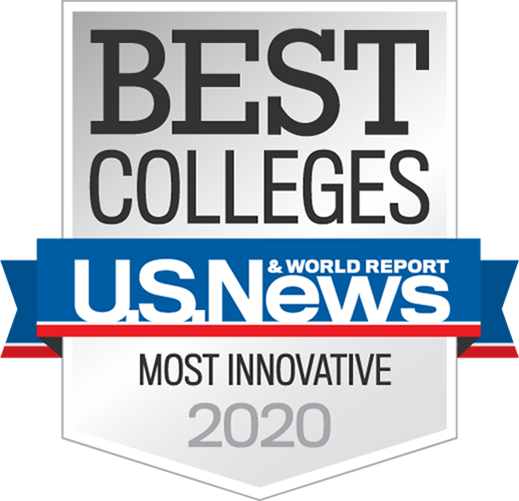 ASU has also been ranked as the most innovative university in the nation by U.S. News & World Report for the last four years, ahead of Stanford and MIT. In 2014, Professor Panchanathan was appointed by President Barack Obama to the U.S. National Science Board (NSB) for a six-year term. He is the first American of Indian origin to be appointed to the NSB. He served as Chair of the Committee on Strategy and currently serves on the External Engagement and National S&E Policy committees of NSB. Additionally, he was appointed by former U.S. Secretary of Commerce Penny Pritzker to the National Advisory Council on Innovation and Entrepreneurship (NACIE). Panchanathan is vice president for Strategic Initiatives and Membership of the National Academy of Inventors. He is currently the chair of the Council on Research (CoR) of the Association of Public and Land-grant Universities (APLU). He is also the co-chair of the Extreme Innovation Taskforce of the Global Federation of the Council of Competitiveness (GFCC). In October 2018, Panchanathan was appointed Arizona Governor Doug Ducey’s Senior Advisor for Science & Technology. Professor Panchanathan is a fellow of the NAI, American Association for the Advancement of Science (AAAS), the Canadian Academy of Engineering (CAE), the Institute of Electrical and Electronics Engineers (IEEE) and the Society of Optical Engineering (SPIE). Panchanathan was the editor-in-chief of the IEEE Multimedia Magazine, and is also an editor/associate editor of several international journals and transactions. Professor Panchanathan’s research interests are in the areas of human-centered multimedia computing, haptic user interfaces, person-centered tools and ubiquitous computing technologies for enhancing the quality of life for individuals with disabilities, machine learning for multimedia applications, medical image processing, and media processor designs. He has published more than 500 papers in refereed journals and conferences and has mentored nearly 150 graduate students, post-docs, research engineers and research scientists who occupy leading positions in academia and industry. Panchanathan has been a chair of many conferences, a program committee member of numerous conferences, an organizer of special sessions in several conferences and an invited speaker and panel member in conferences, universities and industry symposiums. Ubiquitous Computing Environments for enhancing qualify of life for individuals with Disabilities; Health Informatics; Multimedia Computing and Communications; Analysis and Recognition of Face, Gait, Emotions, Events and Activities; Haptic User Interfaces; Media Processor Designs; Indexing and Retrieval of Images and Video; and Genomic Signal Processing. Nallure, Vineeth, Ye, Jieping, Panchanathan, Sethuraman. Biased Manifold Embedding: A Framework for Person-Independent Head Pose Estimation. IEEE (2007). Panchanathan,Sethuraman*, Candan,Kasim Selcuk, Gupta,Sandeep Kumar S, Mcdaniel,Troy Lee, Sapino,Maria Luisa. Smart Stadium and Smart Living Research. INTEL CORP(1/1/2015 - 12/31/2015). Webber,Andrew Neil*, Husman,Jenefer, Panchanathan,Sethuraman. ASU 2013 Graduate Research Fellowship Program. SFAz(6/1/2013 - 12/31/2014). Panchanathan,Sethuraman*, Babendure,Jeremy R. Flinn Foundation - Arizona SciTech Festival 2013. FLINN FDN(1/1/2013 - 12/31/2013). Panchanathan,Sethuraman*. Association between Visual Gaze Patterns and Adenoma Detection Rate. Mayo Clinic, Fla(8/1/2012 - 7/31/2013). Panchanathan,Sethuraman*. I-Corps: Haptic Annunciator System for Situational Awareness. NSF-ENG(7/1/2012 - 6/30/2013). Panchanathan,Sethuraman*, Panchanathan,Sethuraman*, Hedgpeth,Terri M, Nallure Balasubramanian,Vineet. HCC: Small: Assistive Social Situational Awareness Aids for Individuals with Disabilities. NSF-CISE(9/1/2011 - 8/31/2015). Panchanathan,Sethuraman*, Babendure,Jeremy R. Flinn Foundation - Arizona SciTech Festival. FLINN FDN(7/22/2011 - 12/31/2012). Panchanathan,Sethuraman*. Aerospace Vestibular Laboratory Services. MAYO CLINIC SCOTTSDALE(1/1/2011 - 2/5/2012). Panchanathan,Sethuraman*. Research and Development of Haptic Annunciator System (HAS). USAF Hanscom AFB(11/1/2009 - 10/31/2010). Black,John Arthur*, Digangi,Samuel, Panchanathan,Sethuraman, Pradhan,Gaurav N. RDE-FRI: The CUbiC CAReS Note-Taker: Enabling students who are legally blind to take notes in class. NSF-CISE(9/1/2009 - 8/31/2013). Panchanathan,Sethuraman*, Black,John Arthur. A Study of the Visual Scanning Strategies of Experienced Radiologists, and the Application of that Knowledge to Automated Image Understanding . MAYO CLINIC SCOTTSDALE(5/16/2009 - 5/15/2011). Greenes,Carole E.*, Lindquist,Timothy E, Megowan,Colleen, Munukutla,Lakshmi V, Panchanathan,Sethuraman. Prime the Pipeline Project (P3): Putting Knowledge to Work. NSF-EHR(9/1/2008 - 8/31/2013). Panchanathan,Sethuraman*, Homa,Donald L, Kahol,Kanav. Investigation of Spatial Memory Formation and Retention in Patients with Early Alzhiemer's Disease. MAYO CLINIC SCOTTSDALE(1/1/2008 - 12/31/2008). Kumar,Sudhir*, Newfeld,Stuart J, Panchanathan,Sethuraman, Ye,Jieping. Computational Analysis of Gene Expression Pattern Images. HHS-NIH-NHGRI(9/1/2007 - 6/30/2011). Qian,Gang*, Qian,Gang*, Bedard,Roger Lee, Birchfield,David A, Candan,Kasim Selcuk, Etheridge Woodson,Stephani, Farin,Gerald E, He,Jiping, Hill,Gary Wayne, Ingalls,Todd Matthew, James,Jodi H, Li,Baoxin, Mcbeath,Michael, Olson,Loren, Panchanathan,Sethuraman, Rikakis,Thanassis, Sugar,Thomas, Sundaram,Hari, Sundaram,Hari, Vissicaro,Pegge. CISE RI: An Interdisciplinary Research Environment for Motion Analysis. NSF-CISE(9/1/2006 - 8/31/2011). Candan,Kasim Selcuk*, Candan,Kasim Selcuk*, Haag,Susan G, Hedgpeth,Terri M, Hedgpeth,Terri M, Panchanathan,Sethuraman, Panchanathan,Sethuraman. Ubiquitious Environment to Facilitate Access to Textbooks & Related Materials for Individuals who are Blind or Visually Impaired. AZ DES-DEPT ECONOMIC SECURITY(1/9/2006 - 12/31/2007). Panchanathan,Sethuraman*, Hansford,Dianne C, Hedgpeth,Terri M, Homa,Donald L. SGER: Incorporation of Psychological Basis of Haptics in the Design of Assistive Haptic User Interfaces. NSF-CISE(11/15/2005 - 10/31/2006). Qian,Gang*, Bedard,Roger Lee, Birchfield,David A, Candan,Kasim Selcuk, Candan,Kasim Selcuk, Etheridge Woodson,Stephani, Farin,Gerald E, Farin,Gerald E, He,Jiping, Hill,Gary Wayne, Ingalls,Todd Matthew, James,Jodi H, Mcbeath,Michael, Olson,Loren, Panchanathan,Sethuraman, Panchanathan,Sethuraman, Parrish,Mila L, Rikakis,Thanassis, Ryu,Kyung Dong, Ryu,Kyung Dong, Sugar,Thomas, Sugar,Thomas, Sundaram,Hari, Sundaram,Hari. CISE RI: An Interdisciplinary Research Environment for Motion Analysis. NSF-CISE(9/15/2004 - 8/31/2006). Fernando,H J S*, Anderson,James R, Crittenden,John C, Panchanathan,Sethuraman. MEASURES: A Proof of Concept Demonstration. NSF-ENG(8/15/2004 - 7/31/2005). Panchanathan,Sethuraman*, Candan,Kasim Selcuk, Haag,Susan G, Hedgpeth,Terri M. PPD-FRI: Ubiquitous Environment to Facilitate Engineering Education for Blind Persons. NSF-EHR(10/1/2003 - 9/30/2006). Panchanathan,Sethuraman*, Panchanathan,Sethuraman*, Black,John Arthur, Black,John Arthur, Candan,Kasim Selcuk, Candan,Kasim Selcuk, Haag,Susan G, Hedgpeth,Terri M. ITR: ILEARN: IT-ENABLED INTELLIGENT AND UBIQUITOUS ACCESS TO EDUCATION OPPORTUNITIES FOR BLIND STUDENTS. NSF-CISE(9/1/2003 - 8/31/2008). Kumar,Sudhir*, Newfeld,Stuart J, Panchanathan,Sethuraman. COMPUTATIONAL ANALYSIS OF GENE EXPRESSION PATTERN IMAGES. HHS-NIH-NHGRI(7/11/2003 - 6/30/2007). Kumar,Sudhir*, Newfeld,Stuart J, Panchanathan,Sethuraman. COMPUTATIONAL ANALYSIS OF GENE EXPRESSION PATTERN IMAGES. HHS-NIH-NHGRI(7/11/2003 - 6/30/2004). Reisslein,Martin*, Panchanathan,Sethuraman. VIDEO TRACES: CREATE DISSEMINATE, ANALYZE. NSF-CISE(9/15/2002 - 12/31/2006). Chatha,Karamvir Singh*, Chakrabarti,Chaitali, Panchanathan,Sethuraman. STUDY OF MEDIA AND COMMUNICATION FUNCTIONS ON PARALLEL/VECTOR PROCESSING ENGINES FOR NETWORK PROCESSING APPLICATIONS. CEIT(5/17/2002 - 10/15/2003). Panchanathan,Sethuraman*. DESIGN OF HIGH-PERFORMANCE GENERAL PURPOSE EMBEDDED PROCESSORS BASED ON THE ARM ARCHITECTURE. ARM(1/1/2002 - 8/15/2003). Panchanathan,Sethuraman*, Gannod,Gerald C, Golshani,Forouzan, Huey,Ben Milton, Lee,Yann-Hang, Pheanis,David Charles. A CONCENTRATION TRACK IN EMBEDDED SYSTEMS. NSF-CISE(9/1/2001 - 8/31/2006). Panchanathan,Sethuraman*, Panchanathan,Sethuraman*. C/S: A CONCENTRATION TRACK IN EMBEDDED SYSTEMS. CEIT(9/1/2001 - 8/31/2006). Lee,Yann-Hang*, Panchanathan,Sethuraman. A PERFORMANCE EVALUATION FRAMEWORK FOR INTERNET AND MULTIMEDIA SERVICES IN NETWORK PROCESSORS. CEIT(5/16/2001 - 5/15/2002). Golshani,Forouzan*, Panchanathan,Sethuraman. REPLICATED CLIENTS AND ADAPTIVE RPC. CEIT(5/16/2001 - 6/30/2002). Kumar,Sudhir*, Panchanathan,Sethuraman. DESIGN OF A BIOINFORMATIC DATABASE FOR FUNCTIONAL EVOLUTIONARY FOOTPRINTS IN MULTIGENE FAMILIES. NSF-BIO(7/1/2000 - 6/30/2004). Panchanathan,Sethuraman*. SOFTWARE ENVIRONMENT FOR H-223 IMPLEMENTATION. LUXXON CORP(5/15/2000 - 8/31/2001). Razdan,Anshuman*, Behrens,John Thomas, Capco,David George, Collins,Daniel Lee, Farin,Gerald E, Henderson,Mark Richard, Marzke,Mary, Mccartney,Peter H, Nielson,Gregory M, Panchanathan,Sethuraman, Ramakrishna,B L, Rowe,Jeremy, Simon,Arleyn W. 3D KNOWLEDGE: ACQUISITION REPRESENTATION & ANALYSIS IN A DISTRIBUTED ENVIRONMENT. NSF-CISE(9/1/1999 - 2/29/2004). Golshani,Forouzan*, Panchanathan,Sethuraman. A LOGICAL FOUNDATION FOR AN INFORMATION ENGINEERING CURRICULUM. NSF-EHR(7/15/1999 - 6/30/2002). Panchanathan,Sethuraman*. MEDIA PROCESSING FOR DIGITAL TELEVISION. MOTOROLA, INC(1/16/1999 - 5/15/2001). Panchanathan,Sethuraman*. SOFTWARE FOR HDTV PLATFORMS. MOTOROLA, INC(6/17/1998 - 8/15/1999). Golshani,Forouzan*, Collofello,James Samuel, Panchanathan,Sethuraman. JOINT ASU/AMERICAN EXPRESS TRS COMPANY EFFORT IN INSTRUCTION OF LARGE GRAIN INFORMATION SYSTEMS ENGINEERING. AMER EXPRESS(8/16/1996 - 5/5/1999).